The Minister of Agriculture and Rural Development, Chief Audu Ogbeh, has said that if appropriate measures were not taken to replant after the recent flood, the country may experience rice shortage. He said that the flood had affected some major rice producing states. 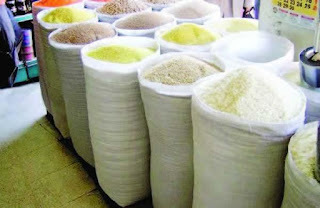 He added that the country may experience scarcity of rice, if not addressed. “We have to find a way to assist farmers, who were affected by the flood. States like Jigawa, Kebbi, Anambra and Kogi were majorly affected. Farmers lost everything they planted. Otherwise, the minister said, Nigeria will experience difficulty in the supply of rice, and other grains like millet, sorghum and maize next year.